Rio Tinto has responded at its Western Australian iron ore operations due to Cyclone Veronica off the Pilbara coast, and in Far North Queensland as Cyclone Trevor impacts the region. 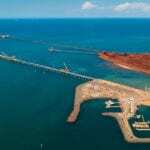 The company has secured its Cape Lambert and Dampier sites in the Pilbara to prepare for Cyclone Veronica, which is expected to intensify into a category five cyclone as it approaches the coast. “Safety is our top priority and we continue to monitor the movement of the cyclone,” a Rio Tinto spokesperson said. Also in the Pilbara, BHP has sent home non-essential FIFO workers at Port Hedland to prepare for Cyclone Veronica, which is expected to reach a peak wind speed of nearly 320 kilometres an hour. A BHP spokesperson said that offshore production had ceased in the Pyrenees and non-essential people had been demobilised. “The path of Tropical Cyclone Veronica and the direction and intensity of the weather system is being constantly monitored as it moves toward landfall,” the BHP spokesperson said. 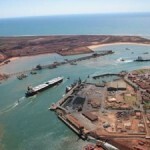 Pilbara Ports has commenced its cyclone preparations at three ports, including Ashburton, Dampier and Port Hedland, to counter the effects of the cyclone. The extent to which Cyclone Veronica will affect mineral exports is yet to be determined but it may impact iron ore prices depending on how long the ports remain closed. On the northeast coast of Australia, meanwhile, Cyclone Trevor is expected to develop into a category four cyclone by tomorrow morning. Rio Tinto has responded at its recently-commissioned Amrun bauxite operations near Weipa to counter the impact of the cyclone. 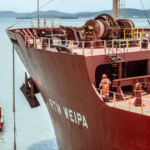 “Operations have been suspended at Weipa as Cyclone Trevor approaches the coast, as per standard procedures,” the company stated. The Bureau of Meteorology expects the southwestern Gulf of Carpentaria to suffer “a severe impact” over the weekend as Trevor hits the coast. The Queensland Government has already declared disaster assistance for the communities of Cook and Lockhart River, while the Northern Territory Government has issued a warning for Groote Eylandt, which has been partially evacuated. “Together with the Northern Territory government, Red Cross is supporting Gulf of Carpentaria coast residents in the path of Tropical Cyclone Trevor ahead of it making landfall tomorrow,” a NT Government statement read.